This is a story of rejection, transformation and persistence! 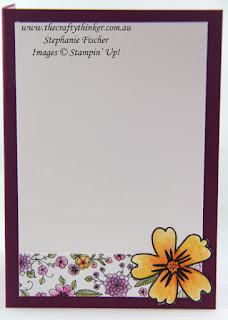 Have you ever had a plan for a card that seemed perfect and about which you were excited? 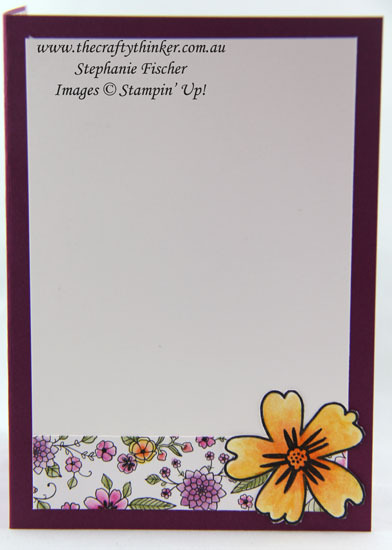 You maintained the excitement and worked feverishly on the card and then - when it was finished - thought "Meh" ? If so, do read on - this story is for you! I really love colouring in the free Sale-A-Bration paper Inside the Lines and had a panel that I'd already coloured with watercolour pencils. I'd mainly coloured the flowers shades of pink but had thrown in a few yellow ones so that I could put it with anything. I'm sure you can see why I didn't like this card! 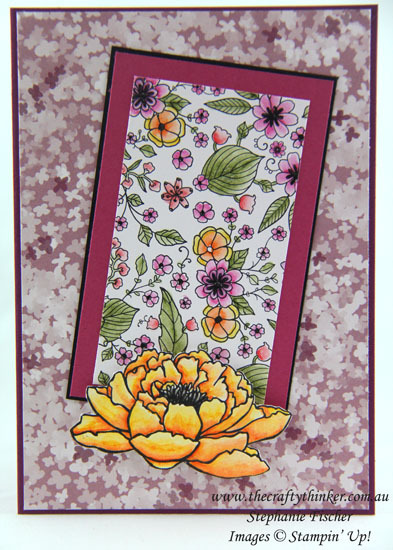 Pretty soon I had envisaged a card using this panel in an offset position and trimmed with a large, bold yellow flower. 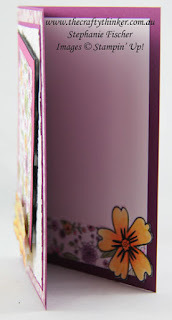 I laid out my panels and tested them against a variety of papers before I made my selection and finished my card. I put it in my light box and took a photo of it and that was when I looked at it and went "Meh"! I threw it into a corner of my craft room, deciding that I could never feature it on my Blog or even use it. Eventually I felt sufficiently guilty about it languishing, alone and rejected, in the corner that I decided to try to give it a face lift! I found I could peel off the decorative panel without causing too much damage (with the help of my long, thin paper piercing tool) and simply added some layers of Rich Razzleberry and Whisper White. 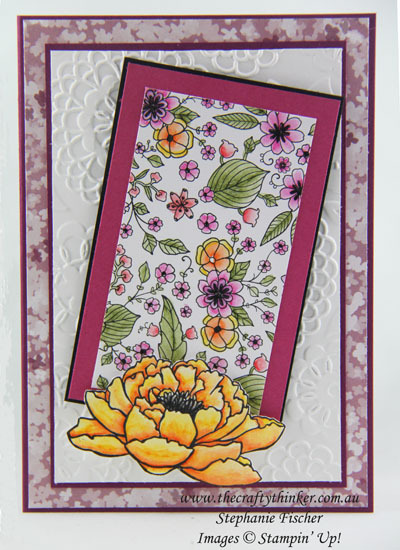 I embossed the Whisper White layer with the Lovely Lace embossing folder. Whilst it's still not one of my favourite cards, I will at least use it now. So the moral of this story is, if you've made something that you don't like - don't despair and don't throw it away. Take out your scalpel and give it a face lift!